Omega Point uses big data analytics to enable investment professionals to reduce risk while increasing their returns. 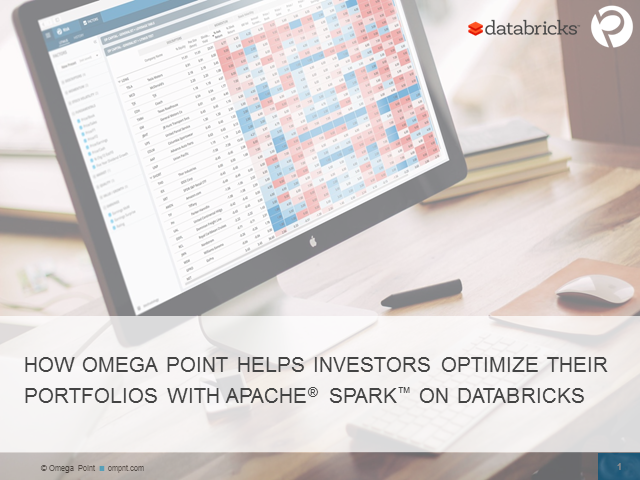 Databricks enables Omega Point to uncover performance drivers of investment portfolios using massive volumes of market data. Join us to learn how Omega Point built a next-generation investment analytics platform to isolate critical market signals from noise with a big data architecture built with Apache Spark on Databricks.